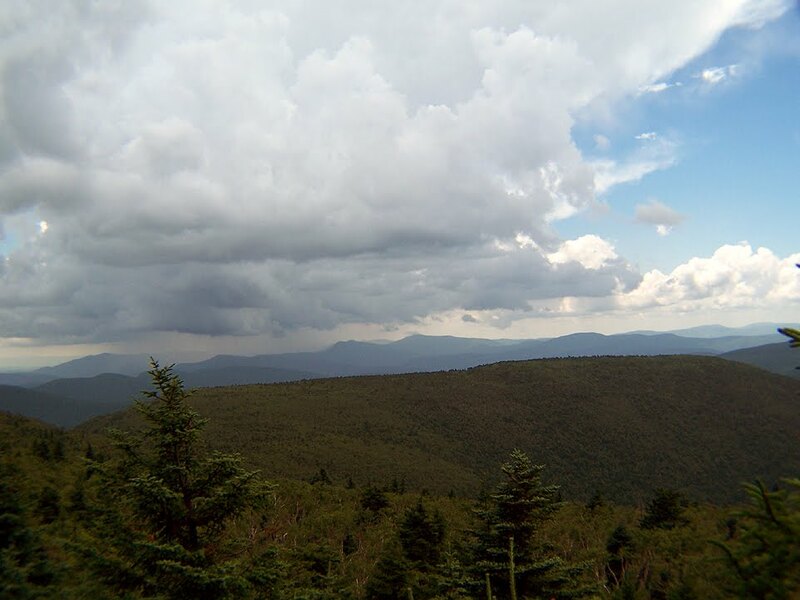 Hiking in the White Mountains and Adirondacks: "The Devil's Rejects"
- After I week off from hiking I was ready to get back into a weekend in the Whites, unfortunately with rainy cloudy weather and no views on the higher elevations I decided to head west to the Catskills! 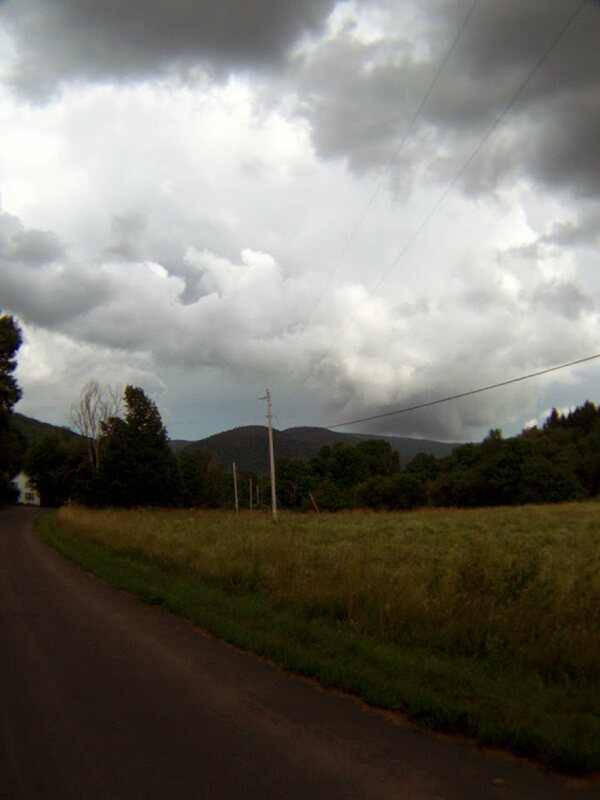 - Having already took on an out n' back of the Devil's Path eastern section in May (click here for that trip report) I returned to do an out n' back of the western section. However within a couple of miles I had made up my mind to change up my hiking plans. - Unlike the grueling, excessively steep, and fun east section of the Devil's Path the west section for the most part is tame, easy, and other than Diamond Notch Falls, can get kind of boring at times. - In order to make the day more challenging I looked at the maps and came up with a pretty killer loop hike that involved the Devil's Path, some road walking, a 4,000 footer, a carriage road trail, and some more road walking all of which created a hike I'll call "The West Kill~Hunter Range Traverse"
- On trail at 6am, Stony Clove Notch (Route 214) 11:30am, finished at 4pm. Weather was in the mid to high 70's and humid, partly cloudy skies, good views from the outlooks and fire tower. - There were not many highlights while hiking the west part of the Devil's Path or the spur trail to SW Hunter summit. I didn't see a single person, there weren't many views, the "cave" was well a little sub-par, I fell hiking down to Diamond Notch Falls which was bad enough to knock the lens off my camera rendering the zoom function useless and making most of the pictures I took out of focus. However, Diamond Notch Falls was beautiful and a great spot to cool off, the lean-to between the Hunter mountains was old but well built, and I found it humorous that some of the trail signs were wrapped in gridded wire to keep porcupines from ripping them to shreds! - At Stony Clove Pond I took a much needed break to refuel before I started my road walk to the Becker Hollow trailhead. The walk on Route 214 was exciting for a little while but after about ten minutes I just wanted it to end because my feet where taking a beating on the pavement. - The hike up Becker Hollow trail to Hunter Mountain's summit was pretty grueling as the temps were now pretty hot and the humidity was starting to get to me. While ascending I finally ran into other people hiking in a big group of about ten or so who were going extremely slow but enjoying their hike. 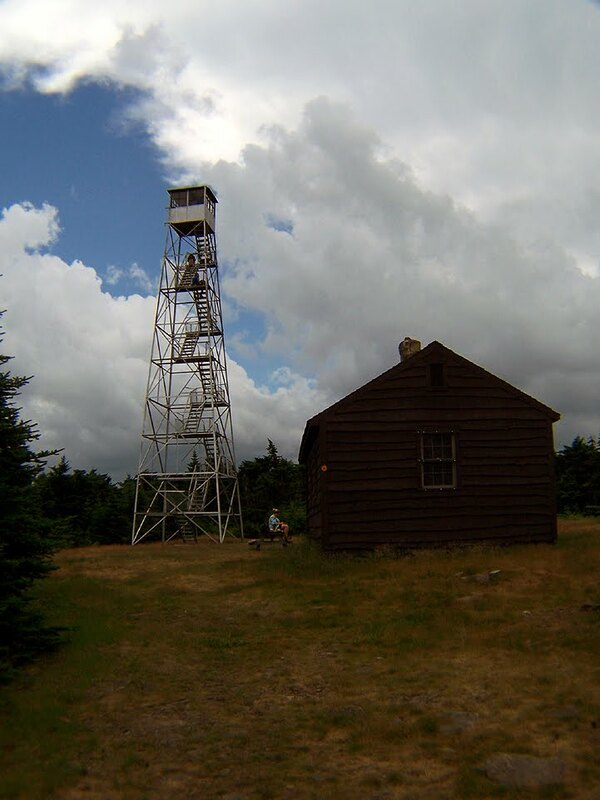 - There were some pretty good views to the east above 3,500 feet, excellent views near the 4,040 foot summit to the west, and super 360 degree views from the old fire tower. 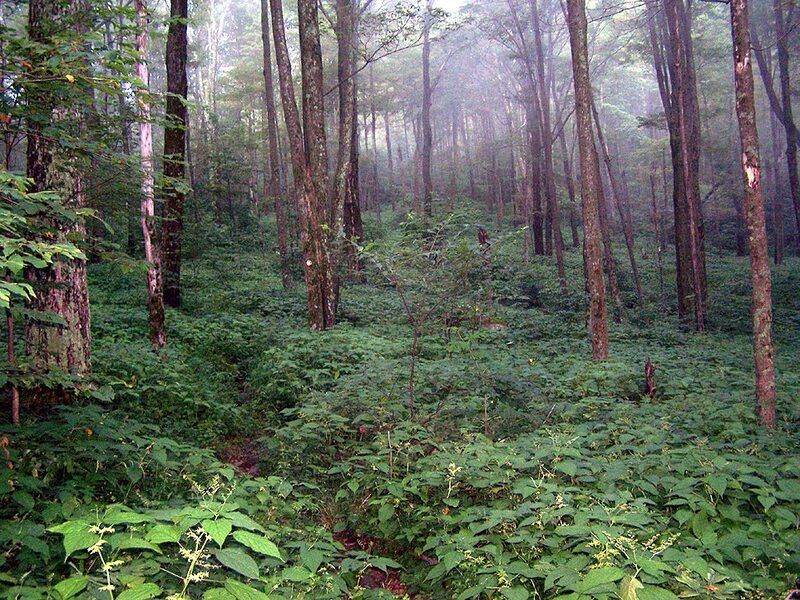 - The hike down Spructeon trail was fun as the trail is an old horse carriage road with easy grades with great footing. There is a fairly new lean-to the trail passes by that has been assaulted by a porcupine in one spot and a spring with water dripping into an old barrel where I was able to cool off from being a little overheated. - The final stretch was the road walk along Spruceton Road back to my car, this was much more fun than walking along Route 214, this section of road has a few old houses and old farms in the middle of nowhere and was very enjoyable and picturesque. - Once back at the car I was pretty exhausted, hiking in the Catskills while fun becomes tiring because all hiking is in the woods and lack open views, it's more of a mental grind to me. However the weather was great, I was able to do a super long hike, and the hike up Hunter Mountain was awesome! two weeks away from the White Mountains, reading your trip reports you must be dying to get back up above treeline! No matter what I'll be up there deff next Sunday and Monday. I heard the weather broke in the afternoon though creating an awesome undercast so I missed out on that! Of course I'm reading your trip report AFTER we've hiked Hunter Mountain. We choose to do "only" an 8 mile loop up Spruceton and back out on Devils Path which was vicious on our ankles with all those hidden loose rock under the leaves. We saw the "wrapped" trail signs and wondered what this was all about. Thanks for the explanation ;) Overall we loved the hike and the area. ~S.L.